Locations that are listed destinations as part of the Austin Wayfinding Project.  The Downtown Austin Wayfinding Project is an initiative to make it easier for residents, commuters and tourists to find Downtown Austin destinations and attractions. Please refer to the Austin Wayfinding Master Plan for more information: https://www.austintexas.gov/wayfinding. The criteria for defining the destinations can be found in section 1.12 "Criteria for Inclusion" of the "Draft Downtown Wayfinding Graphics Manual".